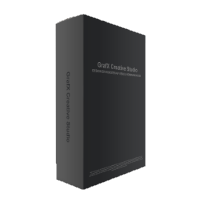 This program is called "GrafX Creative Studio". It is a program that you can make Christmas cards, invitations, business cards, brochures, letterheads, flyers, logos, calendar and more. Grafx Creative Studio is about using all the imagination and move into shapes and colors. 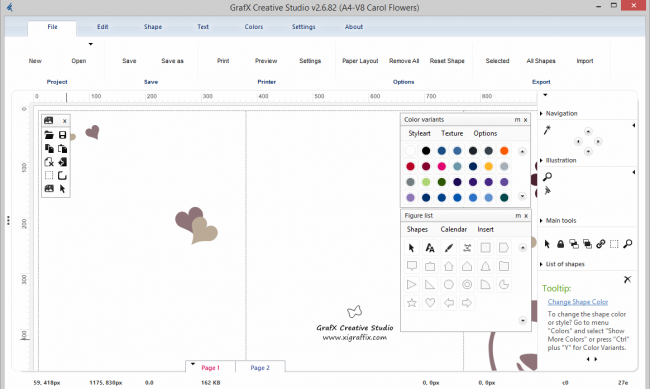 Moreover, Grafx Creative Studio includes pre-drawn shapes and templates that are easy to use. It offers many different shapes, colors and styles, there are many empty templates where you can create based on the personal style you want.